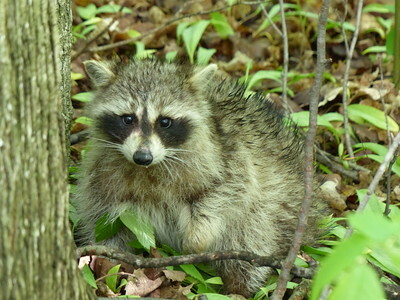 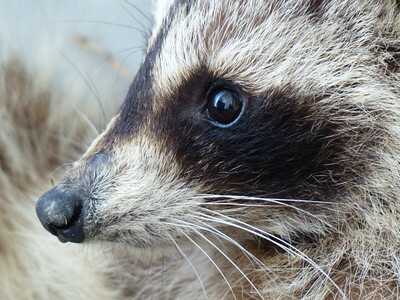 Photos of a Raccoon near our house. 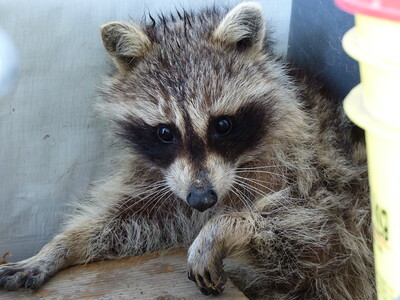 It was attempting to hide behind some junk in a shelter. 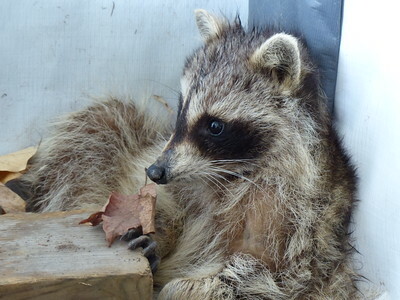 After I moved some of the junk and created a path for it to leave, the Raccoon ambled along with some difficulty and appeared to have an injured front left foot or leg. 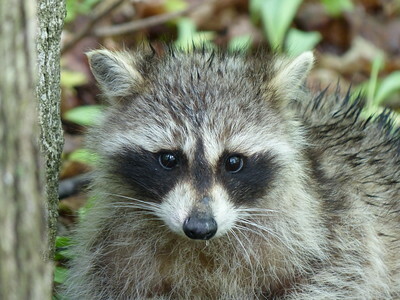 This animal is likely the culprit behind recent nocturnal take-downs of our bird feeders, including a complete clean out of the suet. 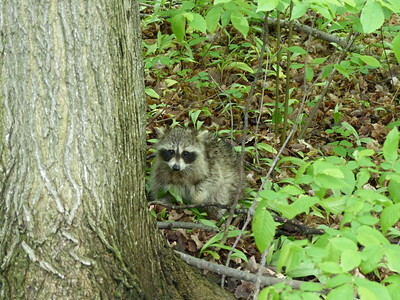 I followed the Raccoon to the woods and took some more photos. 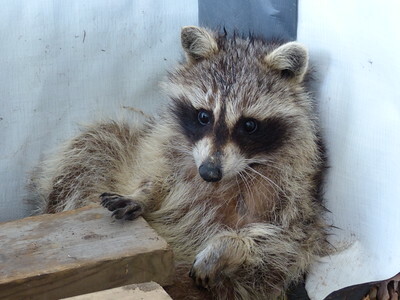 A normal healthy Raccoon would not have let me get this close.